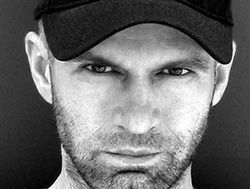 As Peter Rauhofer's manager and dear friend for many years, it is my sad duty to announce that Peter was rushed to the emergency room several weeks ago. After confirming that Peter had a seizure, further testing has revealed a large brain tumor, something that has gone undiagnosed for quite some time. At this time, Peter's family is working closely with a team of talented Neurologists to determine the overall best treatment option. Please be assured that he is getting the absolute finest care possible, twenty-four hours a day. I know Peter would appreciate your kind consideration and positive energy during this extremely difficult period. We will post any updates and progress reports as they become available. Feel free to post your condolences as well as check into this page for updates. Rauhofer was the resident DJ at NYC's Roxy before it closed and has remixed dozens and dozens of pop artists. We wish Peter all the best in his treatment and recovery.